This title is one of five Magic Tour shows released by Godfather in July 2008, and the last of them to be reviewed. 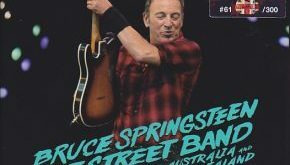 For someone who has long maintained that Springsteen’s greatest live performances date from the 1970s, the Magic Tour has proved to be a revelation. The 2008 concerts have been particularly impressive, partially due to the playing of a wide range of audience requests, which have helped to bring a freshness and vitality to all of these these performances. 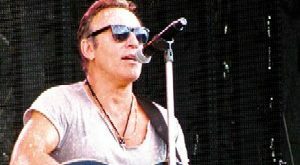 In Hamburg, as elsewhere, Springsteen left the audience profoundly impressed. Jakob Haugaard Christiansen writes on the Backstreets website: “What a show and what a setlist. If you can call it that! It was more like a wishing well or a request-night made in heaven.” Erik Knevelbaard, also on the Backstreets site, comments: “The energy and fun Bruce has this leg is amazing…But what made this show extra special is the fact that he played a killer set.” The anonymous writer on the Point Blank site concurs, stating that it was a “hell of a set list, and a great performance too, and a good dose of rarities.” Consequently. It is unsurprising that Godfather’s sleeve notes make much of the choice of songs. 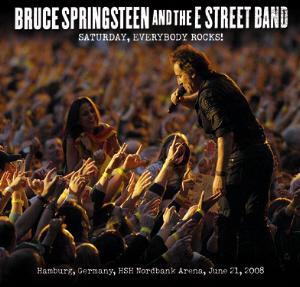 Springsteen immediately stirs up the audience by gleefully referring to Germany’s 3-2 defeat of Portugal in the quarter-final of the Euro 2008 football (soccer) championship and then the band begin the show with Out In The Street. A number of Magic Tour shows have started with this number and it immediately establishes a euphoric mood. The lively and melodic Radio Nowhere continues the uplifting spirit before an energetic rendition of Prove It All Night gives way to a muscular version of another song from Darkness On The Edge Of Town, The Promised Land. The audience, clearly enjoying every moment, sing and clap along during these opening songs. The initial section of the show culminates in a superb rendition of Spririt In The Night, played with tremedous brio to the delight of the audience. Then, of course, it is time for the first collection of audience requests. The first request played, Something In The Night, which is given a reading simultaneously beautiful and powerful, is an undoubted highlight of this show. “Very obscure, never played,” says Springsteen of the next request. Pointing out that it is one of Steve Van Zandt’s favourite numbers, he goes on to say that it “may be the closest we ever came to pure punk music.” It is ,of course, Held Up Without A Gun, played here in a rendition described by Knevelbaard as “smoking.” (Springsteen is incorrect is stating the the song had never been played as it had made one previous appearance at the Nassau Coliseum on 31 December 1980, a show available on Crystal Cat’s Nassau Night. ) A slow, dark and brooding Atlantic City, clocking in at six minutes, follows and then the mood lightens musically, if not lyrically, with Gypsy Biker. Roy Bittan’s atmospheric piano then opens Because The Night, superby played as aways on the Magic Tour, and featuring a wonderful guitar solo from Nils Lofgren. She’s The One is the given a hugely energetic and most enjoyable performance which features a lengthy coda dominated by Springsteen’s harmonica. This is followed by the melodic Livin’ In The Future, predicated by the usual political speech decrying the actions of the Bush administration. Then comes the equally melodious Mary’s Place, replete with brass effects, which Springsteen introduces by asking the members of the audience if they are ready for some soul music. The audience claps along during an infectiously high spririted version of the song and it provides a fine conclusion to the first disc. Disc two continutes the party spirit, opening with Sherry Darling. 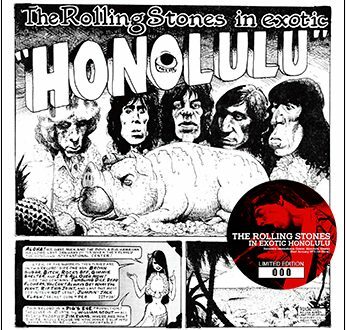 The euphoric mood is forced and rather self-conscious on the official version from The River, but the song is far more effective in this live context. The slight but jaunty I’ll Work For Your Love, from the Magic abum, ensues, dedicated to some newlyweds in the audience. Springsteen introduces the next request, from a woman who had been at “many, many shows,” by saying that, “the band doesn’t know it any more. 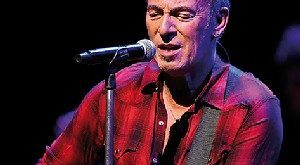 It’s old and forgotten.” The song is Hungry Heart and apparently Springsteen was going to play it as a solo acoustic number before the band members (including Charlie Giordano) convinced him they could do it. Hence we are treated to a hybrid version with Springsteen performing the first verse alone before the band joins him for the remainder of the song. The audience, of course, also participates enthusiastically. The next number is Incident On 57th Street. Played in the more usual medium-paced incarnaton, it is a superb rendition with a highlly effective instrumental coda which takes the song to nearly ten minutes in length. Knevelbaard refers to it as a “great” version, “which left me choked.” Excellent though it is, I would maintain that the slow version from Bryn Mawr in February 1975 (available on Crystal Cat’s Main Point Night) is unikely to ever be bettered. The customary trilogy of The Rising, Last To Die and Long Walk Home are then given very fine performances, complementing each other here, as elsewhere, most effectively, before the band rips into the set closer, Badlands, which again features enthusiastic audience participation. The sound of this release, while not outstanding, is very good indeed and provides the collector with an enjoyable listening experience. The CDs are housed in Godfather’s usual trifold sleeve featuring several onstage photographs (though not, I understand, from the show itself) and sleeve notes, but no booklet. To quote Knevelbaard one last time, “the game is really on now,” and so it proved, with outstanding concerts a few days later in Milan and Paris. These stunning shows were issued by Godfather simultaneously with this release (under the respective titles of Summertime Bruce and Paris Don’t You Lose Heart). 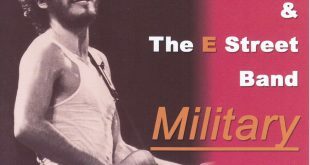 These two performances are essential acquisitions for all Springsteen collectors and, while the Hamburg show does not quite match them, it has many merits and these CDs will repay repeated listening. Overall, this is another very fine release from the Godfather label.